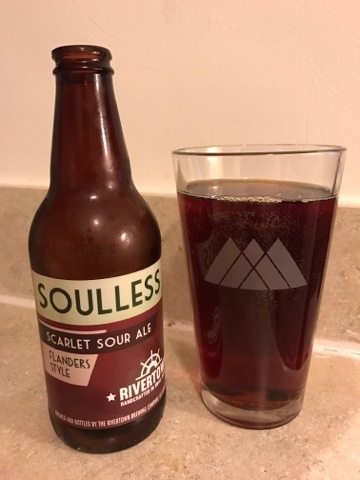 One of the more disappointing "sours" I have drank - as I don't find this beer to be sour at all. No tart, no mouth pucker - nothing about this beer feels sour - other than my attitude towards it. Sadly, I think it's a really tasty beer - it's just not what it was advertised as, and not what I was expecting/wanted. Light, drinkable, a faint hint of what wants to be sour. I don't mind drinking it, I just wish it was closer to what I was expecting. Very, very, delicious beer from Ommegang! 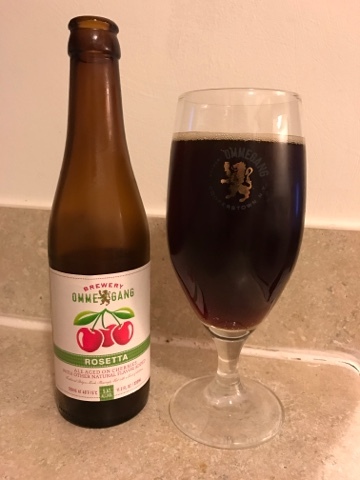 The Cherry is nice and a mellow tart, but doesn't go so far as to be a sour. Light, refreshing, with a long-lingering cherry flavor on the backend. I drank this too fast, and was only comforted by that sweet aftertaste. 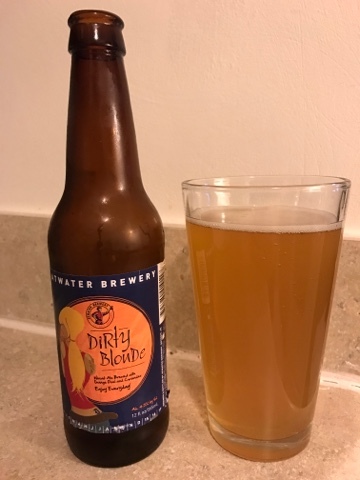 My buddy Steve had this beer a while ago in Pennsylvania, and he loved it. 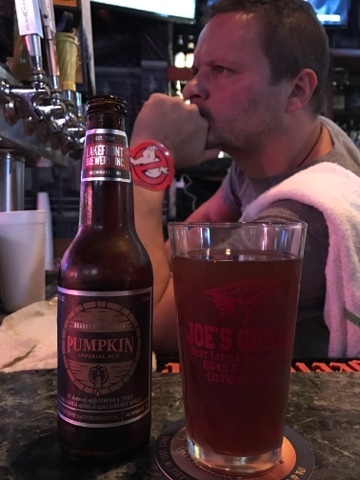 Over the weekend, while we were in Ohio, he happened to find it in bottles, and wanted me to have a pair of them. I waited until tonight - as we did our Destiny Raiding together - to enjoy it. 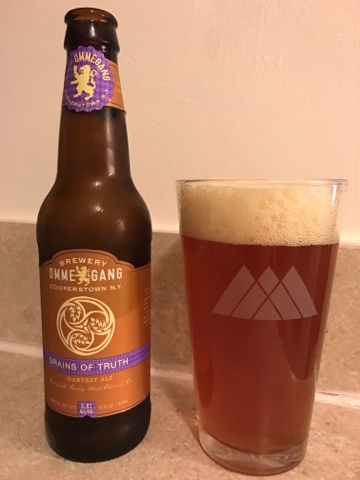 As always, Ommegang delivers a very quality beer, It's heavier than I expected, but in the right ways. Full flavor, and powerful. Leaves an interesting after taste, but it's not bad. Tasty! THANKS STEVE! I am still on the hut for that "perfect" coconut beer. Sadly, this is not it. However, this is a very enjoyable beer - which does have a good coconut hint in the after taste. It's as if I had just drank some coconut water. Not real flavor, but a hint of it. 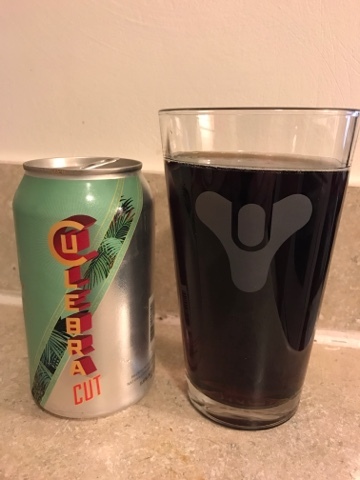 If the coconut claim was taken out of the expectation, it would just be a really nice and smooth brown ale that I enjoy. 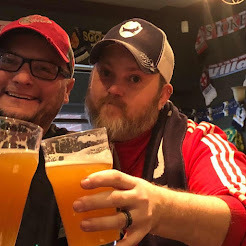 Yesterday, my buddy Steve posted a picture of himself and Amanda at Hofbrauhaus in Cincy - and my jealousy set in quickly. I hadn't had a Hot Brown in about two months, so I convinced Caitlin that we needed to take Lily on a day Trip to Cincy. 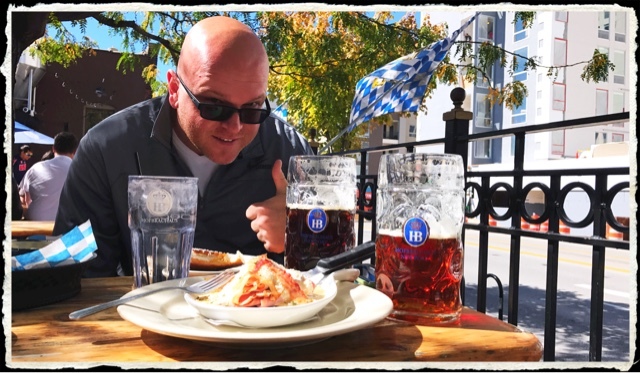 When I told Steve that we were making the trip because of his post, they agreed to meet us for lunch - because you can never have too much Hofbrauhaus! 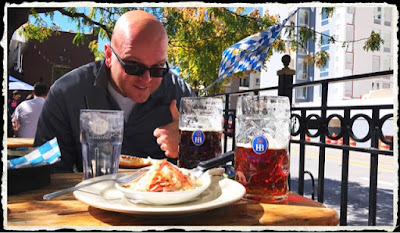 So, we sat in the Biergarten and drank Oktoberfest together, while enjoying pretzels with Bier Cheese, and my all time passion: The Hot Brown. Myself, Lily, and Caitlin - The Sunglasses Pose. 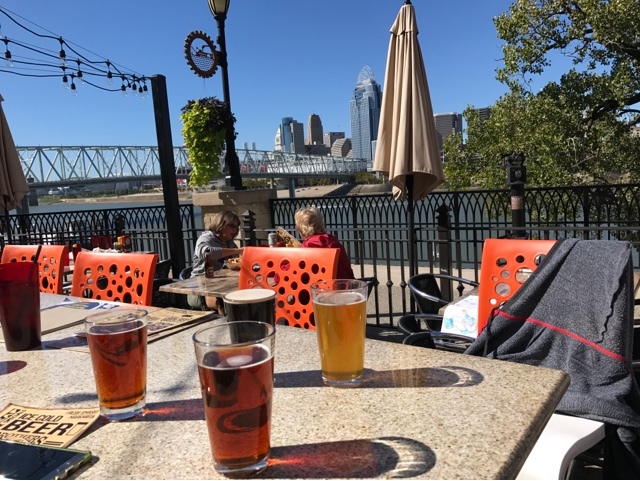 After lunch, we ventured over to Brothers to enjoy the weather on their patio - which is right on the Ohio River, with a beautiful skyline view of Cincy. We drank some delicious Rhinegeist Beers in the glorious weather. The website hasn't seem much updating in the past month, and it's just because I have been constantly battling various minor moments of ill, which have just put me in a blah mood most days. I still have a fridge that is half full with Caitlin and I's Chicago/St. Louis Adventure, but when I've been at home, I just haven't felt like drinking. Sadly, about half of those beers are ones that we are going to share - so I can't just drink them when I am home alone. In my few trips out on the town, I really haven't gone anywhere with stellar new options for me. My standard locations have their same offerings, and I just haven't come across anything anywhere else that demanded I try it. 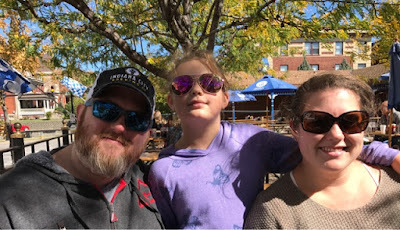 So, just taking a little bit of time to try and get my body and mind back to feeling better, and then I plan to start ramping up the beers this Fall/Winter. My goal will be to hit 900 before the New Year, and then hit the 1,000 Goal sometime in 2017. Things are still up in the air for my plans after 1,000. I do love beer. I love beer a lot. Part of my time recently has been spent working on the finances to be able to afford to buy shares of BrewDog USA and become an Equity Punk. That's still in the works, but might take longer than I had hoped for. Stop drinking beers at 1,000, holding tight to the "Journey to 1,000 Beers" tagline? Keep drinking beers, but not recording them onto this website? Just let this stop at 1,000 and feel like drinking is less of a "job" for me. Keep drinking beer, and continue this record until I get tired of it? Keep drinking beer, keep writing about beer, and keep trying to expand this website with more travel and perhaps invest more time for better written content? It's a battle that really doesn't have a front-runner right now. I'm sure Caitlin and I will talk about the options more in the future, as I get closer to 1,000. We have a lot going on in 2017, especially with our wedding - so this website will probably be taking the back seat to that for a portion of next year. That's looking pretty far into the future. We've got 146 beers to worry about before the time comes to make that decision. So, there's a quick update. I'm still around. I'm still drinking. I just haven't been making the effort to add anything new recently. I will try to start changing that sooner than later. Thanks for reading!